Determine the meaning of unknown words by using a variety of context clues, including word sentence and paragraph clues. Use context clues to determine the meaning of synonyms, antonyms, homophones, homonyms and homographs. Recognize the difference between the meanings of connotation and denotation. Identify and apply the meaning of the terms synonym, antonym, homophone and homograph. Identify word origins to determine the meaning of unknown words and phrases. Identify the meanings of prefixes, suffixes and roots and their various forms to determine the meanings of words. Determine the meanings and pronunciations of unknown words by using dictionaries, glossaries, technology and textual features, such as definitional footnotes or sidebars. Predict and support predictions using an awareness of new vocabulary, text structures and familiar plot patterns. Compare and contrast information on a single topic or theme across different text and non-text resources. Summarize important information in texts to demonstrate comprehension. Make inferences or draw conclusions about what has been read and support those conclusions with textual evidence. Select, create and use graphic organizers to interpret textual information. 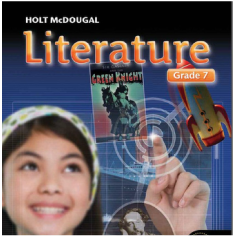 Answer literal, inferential and evaluative questions to demonstrate comprehension of grade-appropriate print texts and electronic and visual media. Monitor own comprehension by adjusting speed to fit the purpose, or by skimming, scanning, reading on or referring back to the text. List questions and search for answers within the text to construct meaning. Use criteria to choose independent reading materials (e.g., personal interest, knowledge of authors and genres or recommendations from others). Independently read books for various purposes (e.g., for enjoyment, for literary experience, to gain information or to perform a task). Make inferences about informational text from the title page, table of contents and chapter headings. Summarize main ideas in informational text, using supporting details as appropriate. Locate important details about a topic using different sources of information including books, magazines, newspapers and online resources. Identify examples of cause and effect used in informational text. Draw conclusions from information in maps, charts, graphs and diagrams. Clarify steps in a set of instructions or procedures for completeness. Describe the thoughts, words and interactions of characters. Identify the influence of setting on the selection. Identify the main incidents of a plot sequence identifying the major conflict and its resolution. Identify the speaker and recognize the difference between first-and third-person narration. Determine the theme and whether it is implied or stated directly. Identify and explain the defining characteristics of literary forms and genres, including poetry, drama, fables, fantasies, chapter books, fiction and non-fiction. Explain how an author’s choice of words appeals to the senses and suggests mood. Identify figurative language in literary works, including idioms, similes and metaphors. Identify literary devices in literature. Explain how a character’s thoughts, words and actions reveal his or her motivations. Explain the influence of setting on the selection. Identify the main incidents of a plot sequence and explain how they influence future action. Identify the speaker and explain how point of view affects the text. Summarize stated and implied themes. Describe the defining characteristics of literary forms and genres, including poetry, drama, chapter books, biographies, fiction and non-fiction. Interpret how an author’s choice of words appeals to the sense and suggests mood. Identify and explain the use of figurative language in literary works, including idioms, similes, hyperboles, metaphors and personification. Write legibly in cursive, spacing letters, words and sentences appropriately. Spell roots, suffixes and prefixes correctly. Use commas, end marks, apostrophes and quotation marks correctly. Use various parts of speech such as nouns, pronouns and verbs (e.g., regular and irregular, past, present and future). Identify and use conjunctions and interjections correctly. Identify and use adverbs correctly. Identify and use prepositions and prepositional phrases. Identify and place clauses correctly in sentences. Identify appositives and the nouns to which they refer. Use objective and nominative case pronouns. Determine the meanings of unknown words from grade level readings. Interpret figurative language in context. Recognize and explain idioms, adages, proverbs, parables. Utilize the relationship between particular words (e.g., synonyms, antonyms, homographs). Use accurately general academic, grade specific words and phrases (e.g., however, although, nevertheless, in addition). Write narratives with a consistent point of view, using sensory details and dialogue to develop characters and setting. Write responses to novels, stories and poems that organize an interpretation around several clear ideas, and justify the interpretation through the use of examples and specific textual evidence. Write letters that state the purpose, make requests or give compliments and use business letter format. Write informational essays or reports, including research, that organize information with a clear introduction, body and conclusion following common expository structures when appropriate (e.g., cause-effect, comparison-contrast, argument, persuasion) and includes facts, details and examples to illustrate important ideas. Write persuasive essays to defend a topic or opinion. Produce informal writings (e.g. journals, notes and poems) for various purposes. Conduct background reading, interviews or surveys when appropriate to complete writing. Use organizational strategies (e.g., rough outlines, diagrams, maps, webs, and Venn diagrams) to plan writing. Organize writing, beginning with an introduction, body, resolution of plot, and closing statement. Vary simple, compound and complex sentence structures, and vary language and style to audience and purpose. Use technology to compose text. Reread, rearrange proofread writings to assess for clarity, mechanics, and methods. Apply tools (e.g., rubric checklist and feedback) to judge the quality of writing. 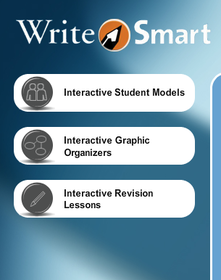 Prepare for publication (e.g., for display or sharing with others) writings that follow a format appropriate to the purpose using electronic resources and graphics to enhance the final product. Demonstrate active listening strategies (e.g., asking focused questions, responding to cues, making visual contact). Interpret the main idea and draw conclusions from oral presentations and visual media. Identify the speaker’s purpose in presentations and visual media (e.g., to inform, to entertain, to persuade). Discuss how facts and opinions are used to shape the opinion of listeners and viewers. Demonstrate an understanding of the rules of the English language and select language appropriate to purpose and audience. Use clear diction, pitch, tempo and tone, and adjust volume and tempo to stress important ideas. Adjust speaking content according to the needs of the situation, setting and audience. Support the main idea with relevant facts, details, examples, quotations, statistics, stories and anecdotes. Deliver formal and informal descriptive presentations recalling an event or personal experience that conveys relevant information and descriptive details. Follow common organizational structures when appropriate (e.g., cause-effect, compare-contrast, problem-solution). Debate using formal protocols for debate.